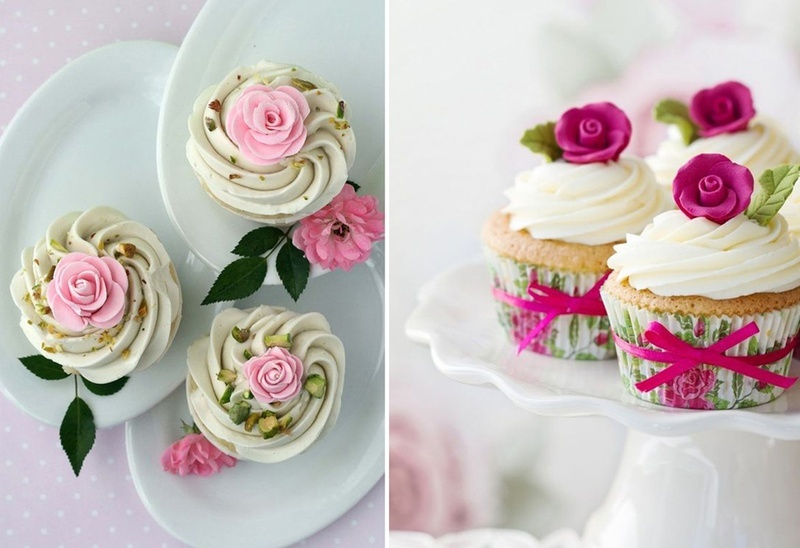 Wedding Cupcake Ideas: How to Match Your Wedding Theme? With modern couples these days experimenting with wedding themes and trying out-of-the-box ideas to make their celebration appeal to their guests, desserts are not far behind in the must-have’s list to impress attendees. Cupcakes are currently a super trend in weddings. Wedding cupcakes (as their fondly called) are literally taking away the cake when it comes to the way in which they’re decorated and placed on the dessert table. From replacing the traditional wedding cakes to becoming the hit favourite as a wedding favour, wedding cupcakes are being adored and loved by one and all. After all, who doesn’t love a whole portion of creamy dessert just for themselves after a nice maharaja meal served at Indian weddings? So, here are awesomely cool wedding cupcake ideas on how you can match these sweet treats with your wedding theme. Having a set colour as a theme for your wedding? Let your wedding cupcakes resonate the same in complementing shades. With baking connoisseurs upping their game with intricate cupcake designs, these vintage patterns are surely going to blow your mind. They look so gorgeous you might want to frame them. Give these away as wedding favours and watch your guests go gaga for days, months or a lifetime admiring your selection. Remember, we recently released a blog post on printed weddings being the top trend in wedding themes? These could be great inclusions with all the other ideas we gave you. Take a recap here. This one can be handled by the bride’s best friend or the bridesmaid as they call it in the west. Simply, love the cupcake topper! Musical notes as a cupcake topper, great inclusions for your sangeet function, eh?